Eric O. Johnson is the numeric and spatial data librarian in the Create and Innovate Digital Scholarship Center at Miami University, Oxford, OH. Johnson, Eric. Working as a Data Librarian: A Practical Guide. Libraries Unlimited, 2018. ABC-CLIO, publisher.abc-clio.com/9781440864827. 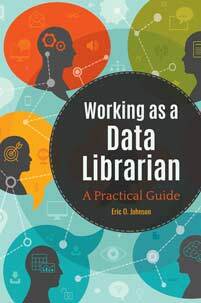 Many librarians' job responsibilities increasingly require them to understand and handle data. Learn how to be an effective data librarian—even if you never expected to need data skills.